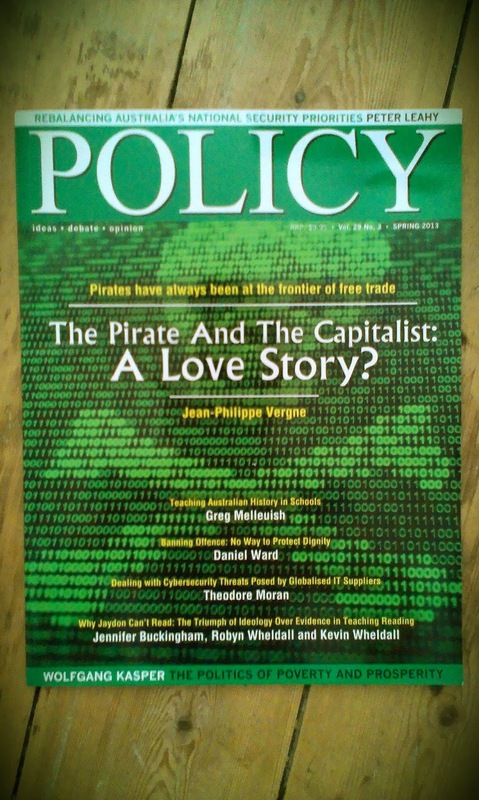 CAPITALISM, PIRACY & SO FORTH: The Tea Party and Occupy Wall Street: A Love Story? The Tea Party and Occupy Wall Street: A Love Story? 'When close to 2,000 people marched to the Capitol Reflecting Pool, Saturday afternoon, to protest the NSA’s surveillance programs, it was as if the Tea Party and Occupy Wall Street had clasped hands', notes MSNBC contributor Adam Serwer. The NSA scandal has shed light on an often concealed divide between two very different conceptions of capitalism -- one of which is opposed by both Tea Party and Occupy activists. Nothing in history makes this divide more apparent than the relationship between the pirate and the capitalist. But you must be wondering...how exactly is piracy relevant to the recent NSA affair? A recent article published in POLICY unpacks the relationships between the state, private corporations and pirates in periods of rapid economic change. In particular, it argues that the NSA scandal triggered a crucial debate regarding the role of state sovereignty and monopolistic arrangements in cyberspace. On these two issues, many Tea Party and Occupy supporters share a similar point of view. A point of view that's also in line with how pirates conceive of cyberspace. 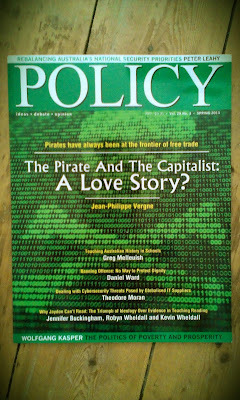 Check the full article, entitled 'The Pirate and the Capitalist: A love story?' It is freely available RIGHT HERE.